Doctorow’s snappy, amiable novel shines brightly as a piece of activist fiction, focusing its sights tightly on a reality controlled by copyright law and the entertainment industry. 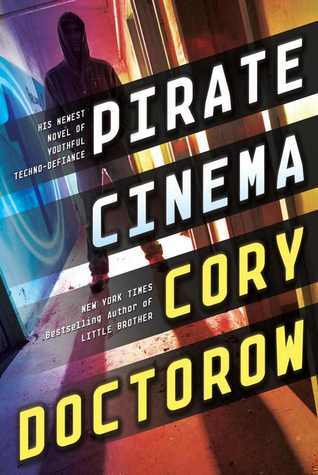 A well known crusader for the end of DRM and other techno copyright tools, Doctorow fills the pages of his story with terrifying facts about copyright laws and the repercussions of giving in to such powerful entities. This terror, however, is presented to readers through the eyes of the somewhat-unrealistically lucky protagonist, Trent, who runs away from home and is immediately adopted by the ever so friendly activist street kids of London. And it is here that the story begins to feel a bit more juvenile than I would have liked, despite it being technically classified as a Young Adult novel. You see, nothing bad ever really happens to dear Trent despite the fact that he’s squatting in an abandoned pub, dumpster diving every day for food, and living near several known drug gangs. In a setting that is rife with conflict, Doctorow instead focuses on the techno revolution without adding any kind of real street strife into the mix, making Trent’s homelessness seem trivial and unnecessary. The story flows well enough though, despite these simple gripes, and the assortment of really odd characters are full of flavor and vigor, making for an overall enjoyable read.